The town of Mundra is a municipality that lies in the Kutch district of Gujarat. The history of modern-day Mundra can be traced three centuries back when it was first established as a garrison town by Devkaran Seth in 1728. The township has several structures and edifices, each having a riveting past that pulls in visitors and tourists from near and far. One such place or site that holidaymakers find immensely interesting (and is inevitably there on the itinerary of almost every vacationer) is the Mundra Port. Presently, the port is India’s largest and busiest private seaport handling cargo in excess of 100 million TPA (tonnes per annum). Entry inside the port premises is restricted and permission from the appropriate authorities is required to step inside the harbor. Moreover, the port being fully commercial, doesn’t offer much recreation to tourists or holidaymakers. Standing on the pier of the harbor, one can view cargo being loaded and/or unloaded onto/from the ships. 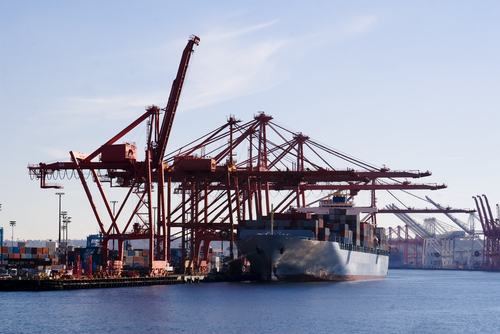 One can also watch ships and seafaring vessels berthing near the port or setting sail. The original port which is lying defunct today and hence practically unusable once used to be a thriving harbor where ships ferried variety of spices and salt to distant lands. Darya Pir, who the Kutchi fishermen look upon as their patron saint set sail from Bukhara (which is now located in Uzbekistan) to arrive in Mundra in 1660. The walls of the fortified city of Mundra first developed by Devkaran Seth were carried all the way from the ruins of Bhadravati-an ancient city founded by the Jains. 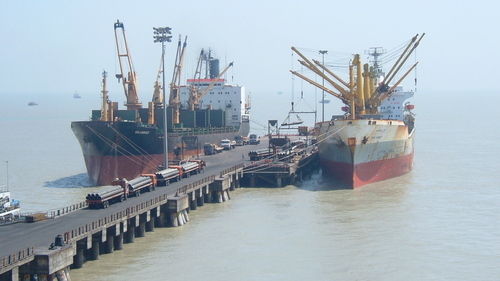 The modern port of Mundra lies on the Gulf of Kutch embracing the Arabian Sea and is situated on the outskirts of the town. Plan for developing the present harbor was proclaimed in 1994 and the same started operating from October 1998. Since it gets exceedingly hot in the summers, the ideal time to visit Mundra port is during the winter season that lasts from November to February.